Triangulation maps measure the distance between landmarks. The French cartographer, Cassini, initiated the first national-scale mappings in France in the middle of the 18th centrury. This was what he used to measure distances. In this map, people are located at point A and point B and something is in the distance, located with the star. S is the distance between both the people. 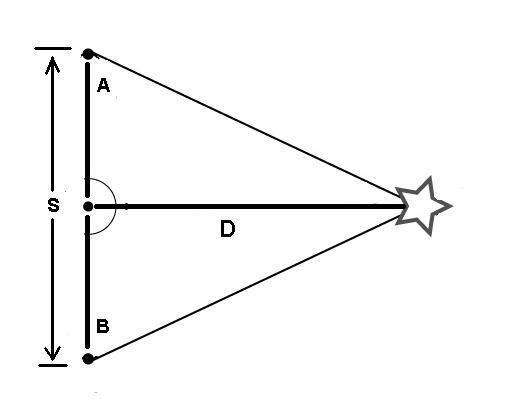 The base angles at points A and B can be measured by a theodolite. Since the distance at S is known, the distance of D can be calculated as well.